Found one file extension association related to Norton DiskLock and 1 file format developed specifically for use with Norton DiskLock. If you ever leave your computer unattended, share a computer with others, or work on a network, you need the Norton Disklock. It is a complete security system, letting you protect exactly what you want, while still giving others access to the files you specify. It's as easy to set up as clicking on a few boxes - yet virtually impossible to defeat. The Norton Disklock provides three levels of protection: password protection against unauthorized system access, selective file locking, and encryption. You can control access to selected files or to your entire computer. The Norton Disklock supports up to five secondary users. By assigning different passwords, you can control exactly what each user can and can't do. The Norton Disklock sets up much faster than other password programs: you can choose to lock or encrypt individual files or entire folders with a single click. 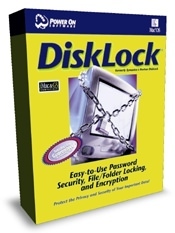 The Norton Disklock is hard to defeat, too: it loads before the system software, so unauthorized users can't boot up your system, even from a floppy disk. You can set The Norton Disklock to automatically activate a screen saver to block access when you step away for a few moments, while tasks such as printing or fax processing continue uninterrupted. The Norton Disklock also provides an audit trail of all access attempts. The Norton DiskLock software seems to be old or discontinued. If you need more information please contact the developers of Norton DiskLock (Symantec Corporation), or check out their product website.